The National Alliance on Mental Illness, or NAMI for short, is a national grassroots advocacy group for people affected by mental illness. They offer an array of support and education programs for individuals and families through their local NAMI affiliates. 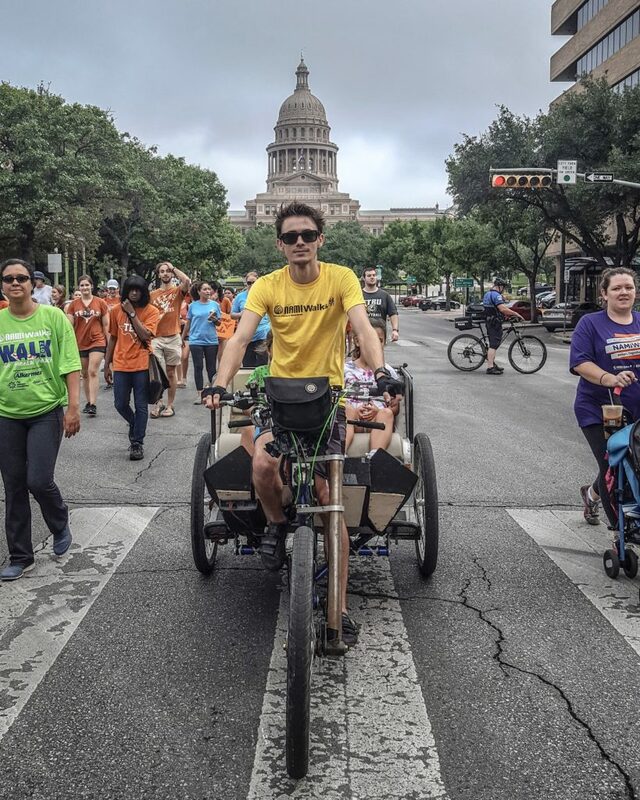 In 2016, their Austin affiliate reached out to us at Movemint Bike Cab about providing 4 pedicabs for their annual September NAMIWalks event. (You can read and see about our experience here.) September is National Suicide Prevention Month, and the purpose of the Walk is to promote suicide awareness and to end stigma and create hope for those affected by mental illness. We were appreciative when they asked us to return in 2017. It’s a decent trek. It begins from the lawn of the Long Center for the Performing Arts, up Congress Avenue to and around the Texas Capitol, and passes Austin City Hall on its return to the Long Center. 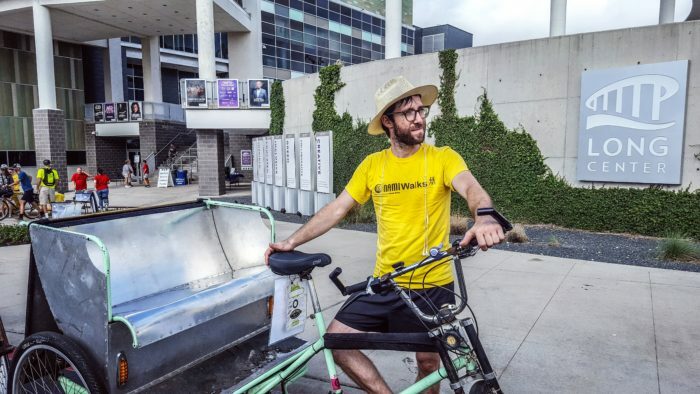 It’s mentioned in the previous entry that pedicabs might seem like a strange inclusion in a parade, but we actually have a long history of augmenting these types of events. 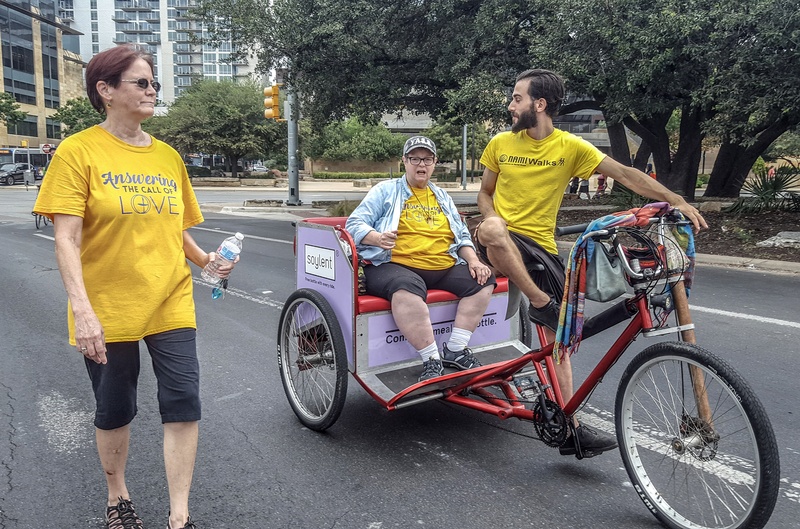 Some people may have difficulty participating to the extent that they want, so we provide them free rides with our pedicabs to ensure that they can enjoy themselves, too. All are welcome to ride. Same as before, people were universally pleased that we were there. We have advertising space available for Austin City Limits 2018!